You are here: Home / Style / Product recommendations / The BEST Souvenirs to Buy In Italy! 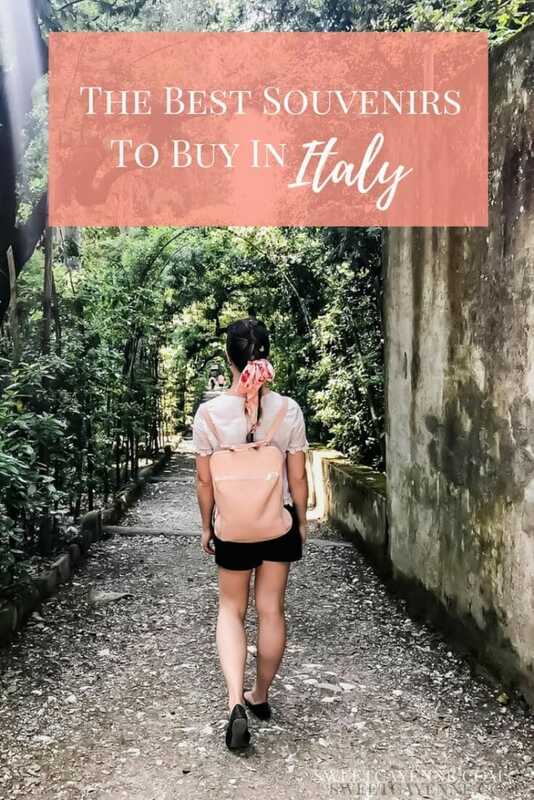 This guide to the best souvenirs to buy in Italy includes product recommendations, places to shop, and a map of where to buy my favorite souvenirs in Florence! Having visited Italy a few times now, I’m well-acquainted with the feeling of angst that comes with trying to decide just how many fine Italian wares you can stuff into your suitcase before making the trek home! There are a LOT of fantastic treasures to be found throughout Italy – items you will cherish for decades to come at in your own home, or little tastes of the country to bring back and share with loved ones. It can be such a daunting task to figure out what is worth the valuable real estate in your luggage! To be honest, a lot of the “souvenirs” that tourists are tempted to buy when traveling in Italy can easily purchased for a similar (or cheaper!) price back in the US as an Italian export. And for products that really are “worth it,” many Italian businesses are starting to offer online ordering/shipping to the US. All in all, it isn’t that difficult get access to your favorite Italian products back in the states. Below is a Google map you can save and share with all of the Florence locations for shopping recommendations I mention in this post! Does the Italian company have an online store with shipping to the US? 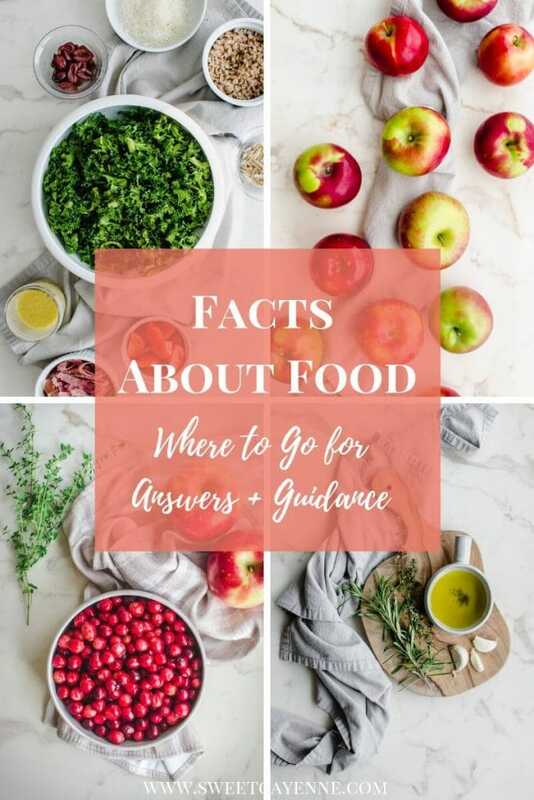 Will what you are planning to buy travel well in your luggage (consider the weight restrictions, TSA regulations, what you will declare at customs, and whether your item is fragile). Is shipping your items from Italy back to the US an option for your budget (this can be VERY expensive)? Are there any US companies that the Italian producer supplies to? 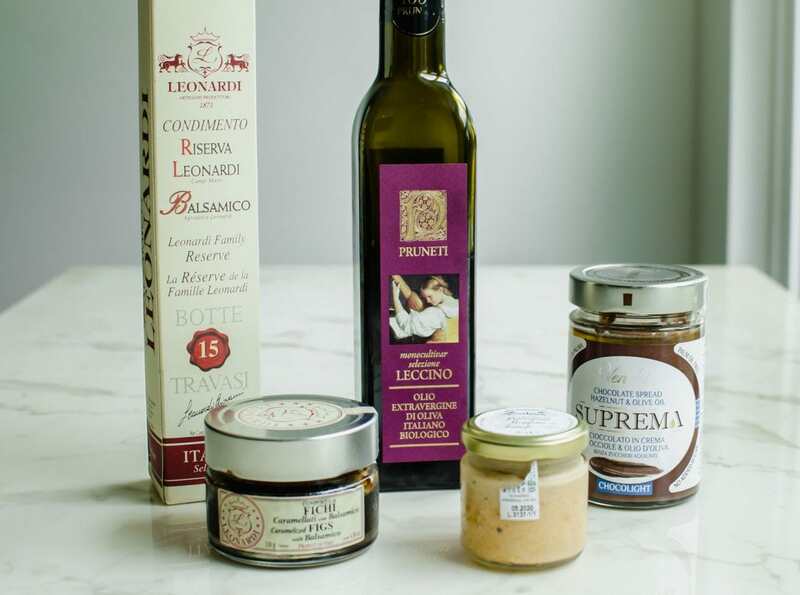 A lot of my favorite specialty foods stores have great relationships with Italian producers of wine, cheese, olive oil, balsamic vinegar, tomato products, and spice blends, so it is fairly simple to find authentic Italian specialty food products in the US. Now, the majority of my time in Italy has been spent in Florence helping lead a Study Abroad program, so most of my recommendations will come from Florence! But honestly, Florence is a great place to call “home base” when traveling in Italy and boasts some AMAZING shopping with items you’ll be hard-pressed to find elsewhere. I’ve been so fortunate to travel to actual production locations for Italian specialty products and really get to know the stories behind the families who work there, so I always try and buy directly from them when traveling in Italy. If you are a foodie visiting Italy, then visiting a producer of balsamic vinegar is an activity I would HIGHLY recommend! 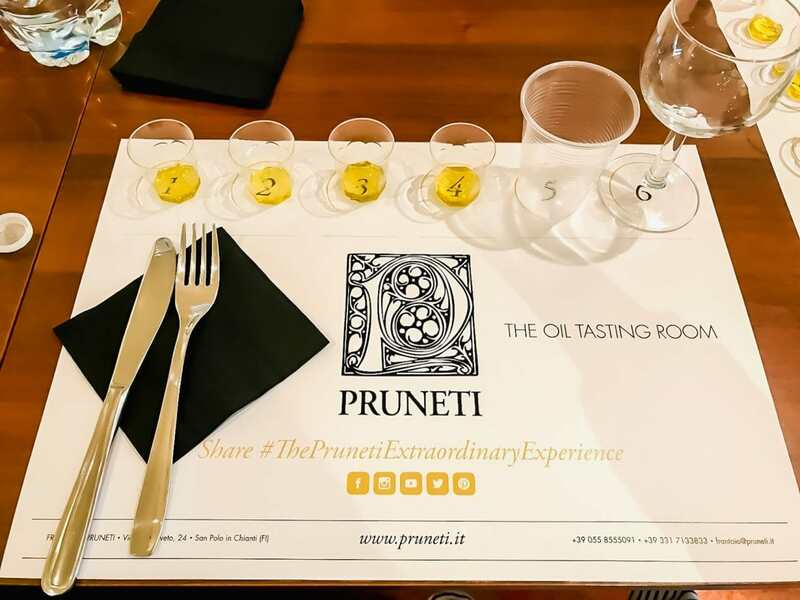 It is a truly magical experience and you will taste some of the most delicious balsamic vinegar of your life – I’m always amazed at how different it tastes from what we buy in the states! Learning about all that goes behind the production of this “liquid gold” is a fascinating experience, and tasting the vinegars of different ages and varieties is so much fun. Below you will find my recommendations for producers to visit and reputable places in Florence for great balsamic shopping. 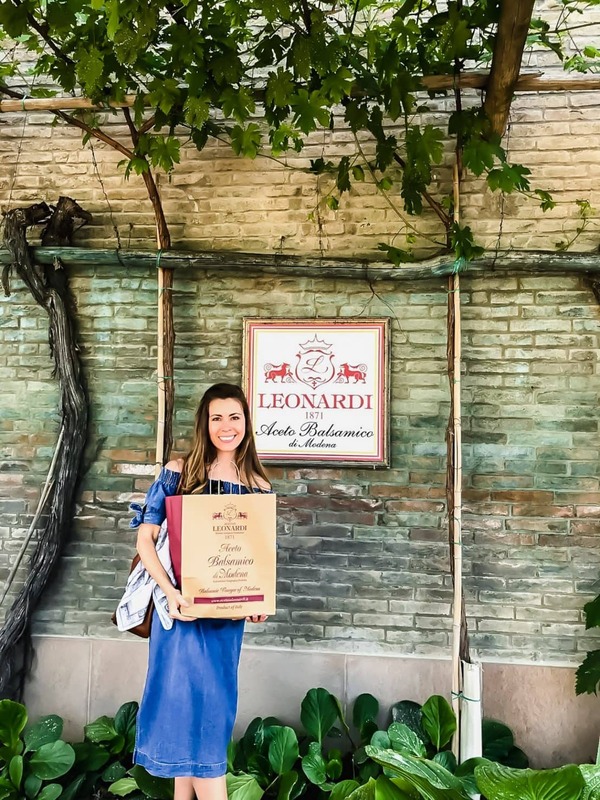 Leonardi Balsamic – when visiting Leonardi, you will have the chance to taste a 100-year old balsamic vinegar that Queen Elizabeth ordered for the wedding of Prince Harry and Meghan Markle! The property also boasts a winery and olive oil production and is a beautiful place to spend the afternoon! Acetaia Sereni – this lovely producer is also an agrotourismo, which means that you can stay at their farmhouse on location and tour the balsamic production during the day! They have an amazing farmhouse restaurant on the property where you can try all of the mouthwatering balsamic and jams. 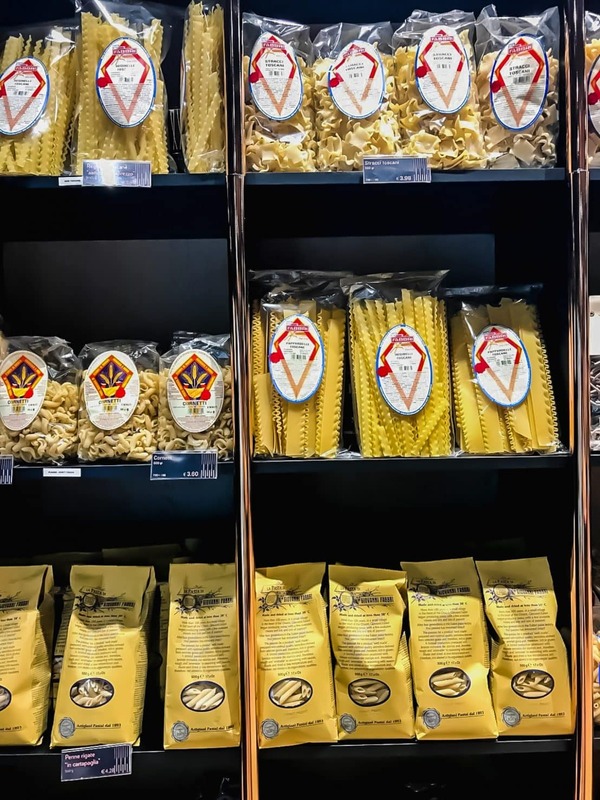 While you can find amazing Italian imported dried pasta in the states, nothing compares to the flavor, quality, and texture of Fabbri Pasta Artiginale. This small family-owned producer makes pasta from a well-preserved strain of an ancient semolina grain and dried in a low-heat, air drying method. This results in a pasta that is nutritionally superior to other dried pastas with an amazing “toothy” texture. I always bring home a couple of bags! If you can’t make to the actual Fabbri location for a demonstration and tour, you can purchase it easily at Vyta Fine Food, which is located underground at Firenze Santa Maria Novella train station in Florence. Illy Coffee, Venchi chocolate and Perugina chocolates are all items that I stock up on for my apartment or Airbnb when I stay in Italy, and then pack extra to take home! I actually made a DELISH chocolate chip muffin with the Illy espresso that you can check out here. While you can buy varieties of the Illy and the Perugina in the states, they are MUCH cheaper when purchased at a grocery store, like Conad in Italy! 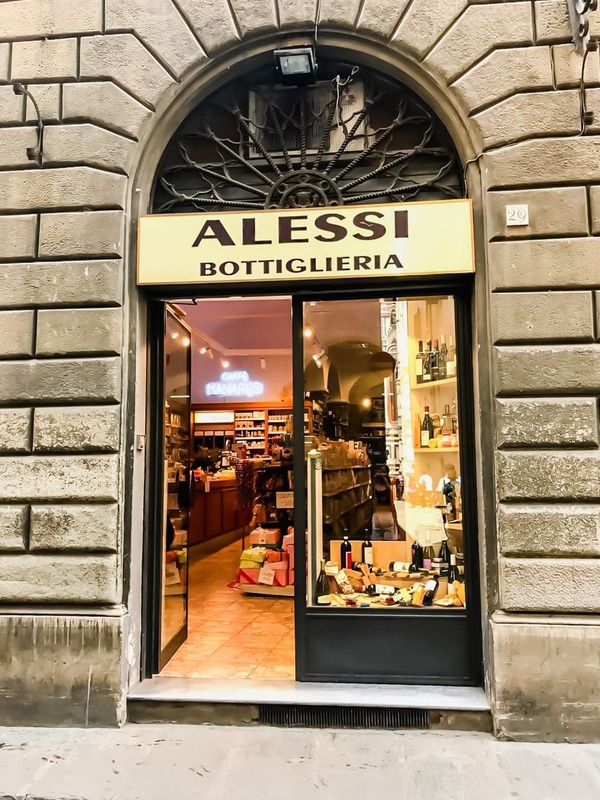 The Venchi chocolate is primarily sold at their amazing gelato shops, but I have found the best prices at a wine store in Florence called Enoteca Alessi – it’s on a tiny side street just east of the square where the Duomo is located, so it’s hard to miss! I’d recommend stopping at Enoteca Alessi before you head home to get the best deals on coffee, chocolate, cookies, and wine – you will be amazed at the selection! As far as wine goes, if you are a lover of Italian wines, you are probably well aware that you can get a really good selection here in the US – I have found really good options at Trader Joes, Aldi, and most wine stores. And most people you talk to in Italy would tell you to plan on purchasing wine once you get back home and saving luggage space for other things. HOWEVER, I will say, that some wineries in Tuscany make the decision to only sell directly to a private buyer. 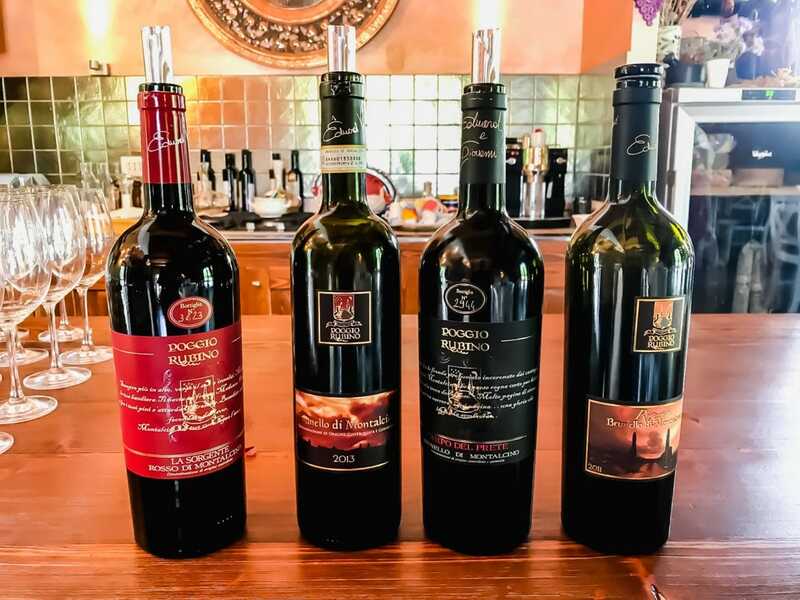 This was the case with the winery we toured in Montalcino – Poggio Rubino – that happened to have excellent wine at great prices. You cannot purchase their wine in the states. So I would say, buy a bottle or two if it’s something special that you know is not sold in the US. Otherwise, save luggage space for other things! If you are a lover of truffle and food products made with truffle, then definitely plan on purchasing some in Italy! 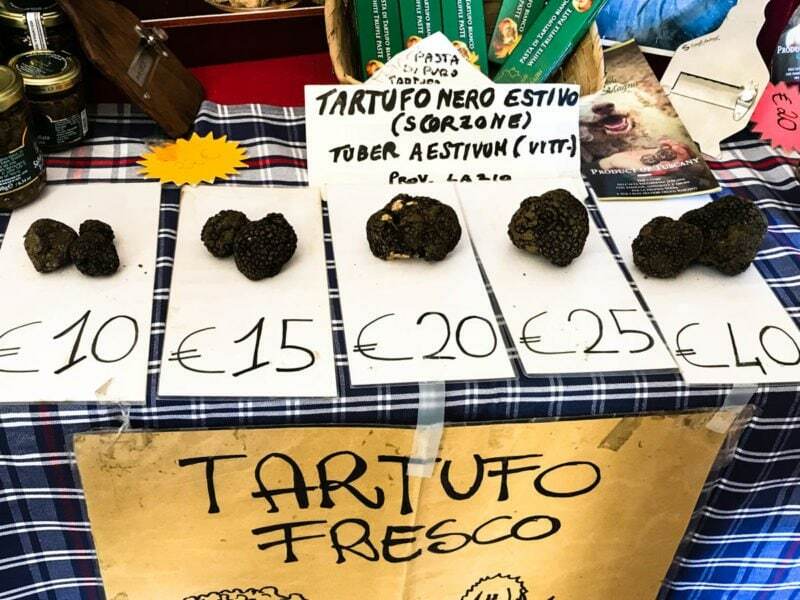 You will get much better prices in Italy on truffle products than what is found in the US. For shopping in Florence, there is an amazing truffle shop located in the lower level indoor food market at the Mercato Centrale (see what the inside of shop looks like here). I have been here many times with friends/family visiting Italy, and the owners are so nice. 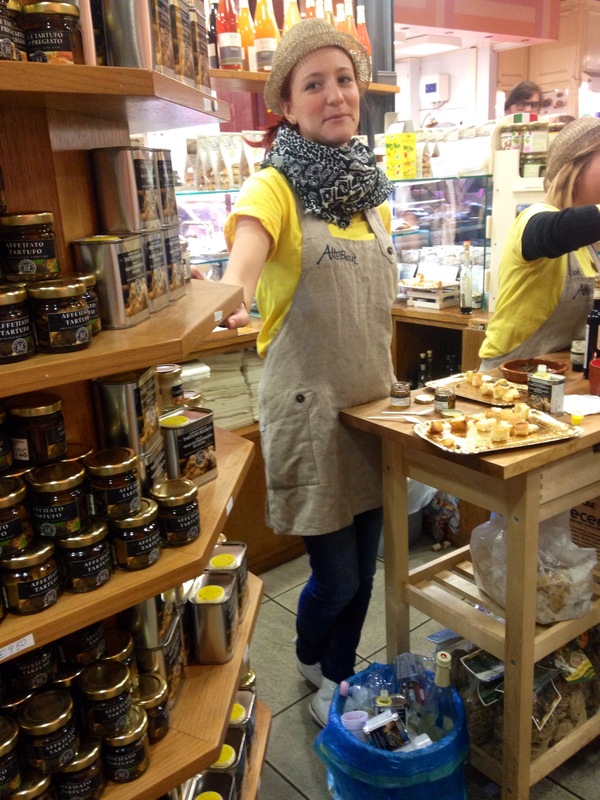 It’s an amazing place to buy truffle creams, spreads, truffle honey, and truffle oils! **I can’t ever find the actual name of the store, but it’s located near the stairs on the lower level of the market, has hanging vines and baskets from the ceiling, and all of the cute ladies that work there wear green aprons and straw hats (if someone reading knows the actual name, please leave a comment!). When I first visited Florence, the top souvenir on my list – the one I had saved for and planned to splurge on – was a leather jacket. 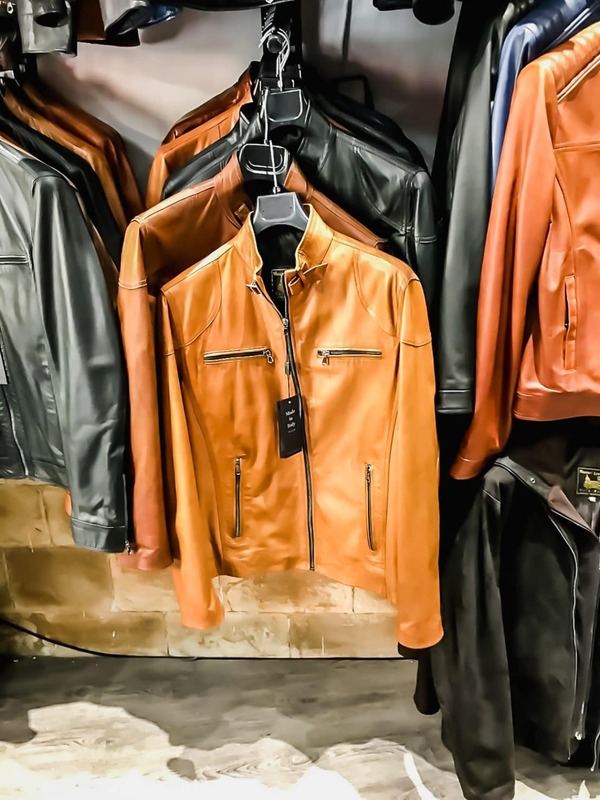 Florence is THE leather capital of the world, and there are many amazing leather producers that will help you find a perfect fit and price for your budget when it comes to leather jackets, shoes, belts, purses, and accessories. With so many good options in Florence, it can be really difficult to discern where to go and who is reputable. But I can help you! Massimo Leather was recommended to me by a friend who has been visiting Florence for the past 10 years and ended up being where I purchased my leather jacket. Massimo is one of the kindest, most knowledgeable, most honest people I have met in Italy and is a true expert when it comes to leather jackets and bags. He can talk to you for a few minutes about your style, taste, take custom measurements, and then pick out the perfect jacket for your needs! His customer service is unparalleled, and he offers amazing prices and quality. For example, you can expect to find a women’s leather jacket here for around 200 euro (250-300 euro for men) that would cost upwards of $500 in the states! And here’s a little side story to offer more proof for just how amazing Massimo is: one month after arriving back to the States with my leather jacket purchase, I was wearing it out and brush up against a shelving unit that had an exposed sharp edge. It caught on my jacket and caused a tear on the sleeve. I was devastated, and told the cost of fixing it would be just as much as buying a new jacket. The next year, I took my torn jacket back to Massimo and told him what happened. He offered to replace the entire section of leather on the sleeve where the tear was for free, which took about 3 weeks, and the jacket was as good as new when I received it back. He is literally the BEST! Since my first visit, I’ve referred 5 people to him to buy jackets and purses, and each person has been so happy with their purchase! Scarves – there are no shortage of gorgeous scarf stand and shops in Florence, but it can be hard to tell if they are good quality! I love this article to help you determine how to buy: Buying authentic scarves. 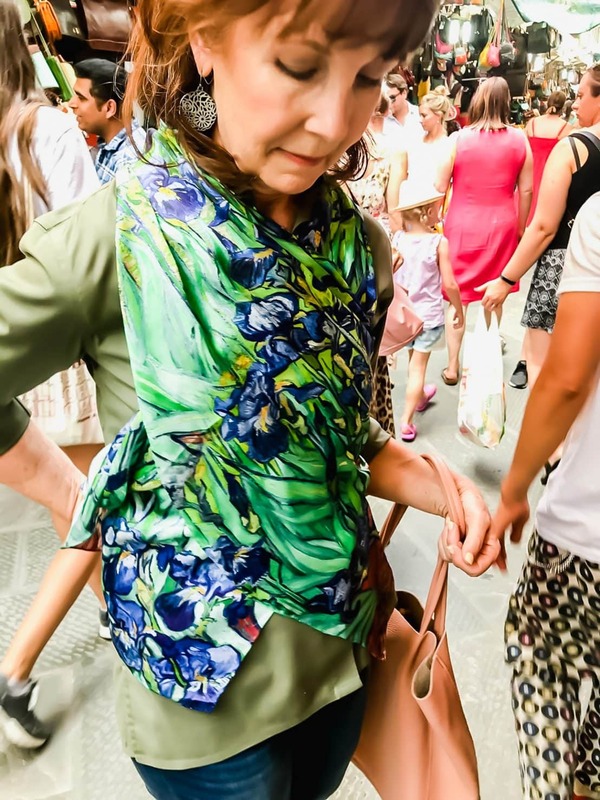 I got great deals on a silk floral scarf inspired by the fashion house at the Piti Palace and then a wool one from an adorable scarf vendor in the San Lorenzo market – he will show you the most creative ways to tie and wear scarves! 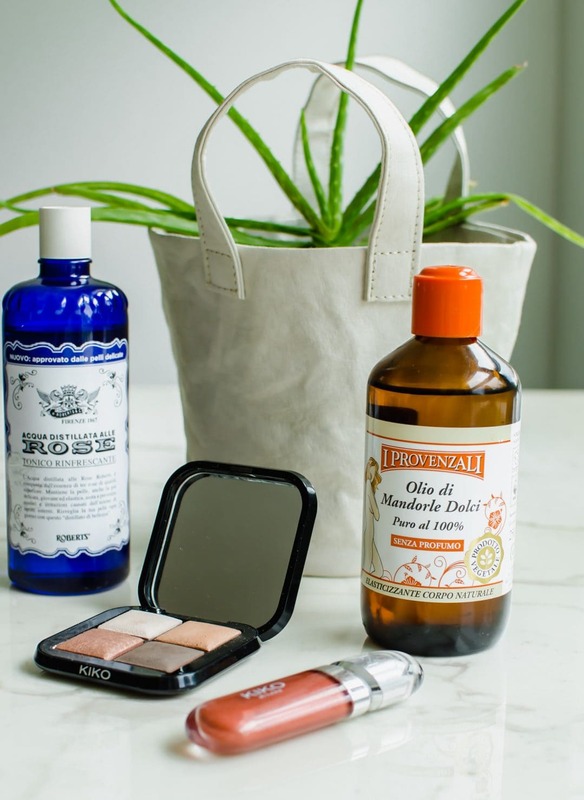 Drugstore/Pharmacy Staples – stop into any pharmacy in Florence or a grocery store and pick up a few bottles of this amazing Rose Tonic, Almond Oil, and Marvis Toothpaste! These are beauty products Italian women (and men!) swear by and that I am now in love with. I use the rose tonic as a gentle toner and to add hydration – it smells SO good! The almond oil can be used on your entire body for hydration, but I like to use it specifically for spider veins, stretch marks, cuticles, and to place a dab on my eyelashes at night to moisturize them. The cinnamon flavor of the Marvis toothpaste is delicious and makes a fun souvenir gift for anyone! KIKO Milano– the KIKO store is a treasure trove of affordable and fun Italian makeup. You can snag beautiful eyeshadows, lip products, and nail polishes here for 3-10 euro and have so much fun trying products on as you shop! 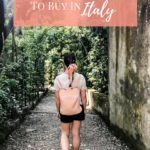 I purchased a beautiful eyeshadow quad, eyeliner, lip scrub, lip gloss, and a fun nail polish for just 30 euro and have enjoyed all of the products – plus, it’s fun to say they are from Italy! Uashmama – located just across the Ponte Vecchio, Uashmama is a store owned by four Italian sisters that sell the most creative housewares sold from recycled paper! The bags, baskets, and accessories are truly a unique find that looks very “European,” and you won’t be able to find these anywhere else! I bought a bread basket and basket with handles that I plan to use a container for a houseplant, and I love the chic, natural vibe the items add to my home decor. Here you will also find gorgeous table linens and olive oil soaps in some wonderful scents – the “pomodoro” scent is my favorite and smells like a garden-fresh tomato! If you or anyone you know are planning to visit Florence anytime soon, be sure to save the Google map I created below so that you can easily find all of the shopping locations from this post! How do you decide what souvenirs to buy when traveling? What is something you’ve brought back that you’ve cherished from a trip? 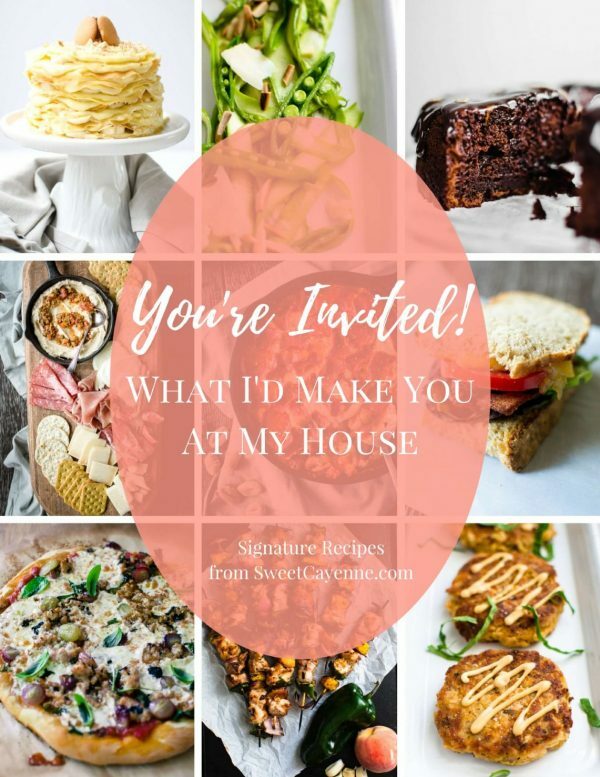 I’d love to know, so please leave a comment below! 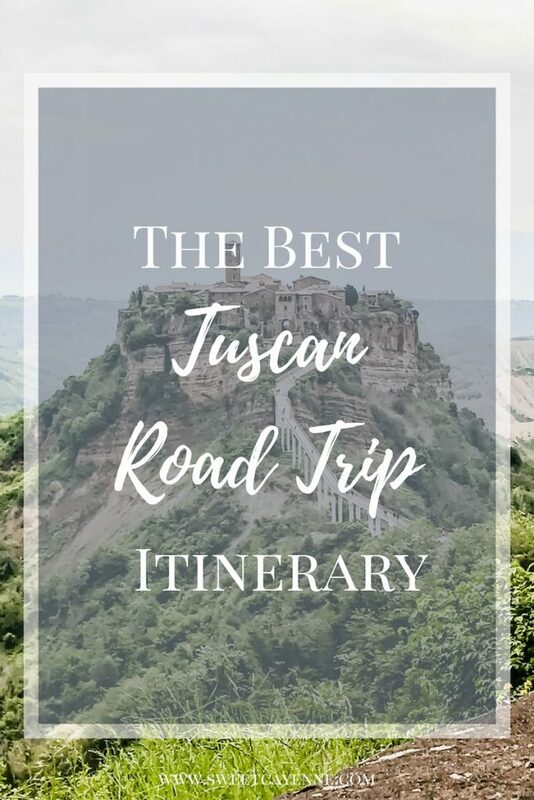 In the meantime, be sure to check out these posts on The Best Way to Have Fun in Italy, Day Trips from Florence, Gelato 101, Guide to Florence, and Guide to Rome!